An updated report from the CDC said that as of February 28th, influenza activity continued to decrease, but remained at elevated across the United States. 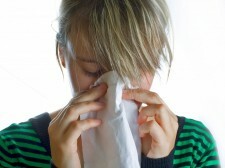 Their latest report showed that flu activity has been at elevated levels for 15 consecutive weeks. The average length of a flu season is 13 weeks. This year s relatively long flu season is largely due to its early start, and also because the season s flu vaccine is having a bad year. The CDC s Morbidity and Mortality Weekly Report (MMWR) also noted that this year s flu season has been particularly hard on adults aged 65 and older. Hospitalization rates have been highest among this age group and are five-fold or greater than overall and other age group hospitalization rates. Approximately 79 percent of the pneumonia and influenza (P&I) related deaths this year have occurred in adults aged 65 and older. Although vaccine protection is reduced compared to previous seasons due to the predominance of drifted influenza A (H3N2) viruses, this year s flu vaccine can still provide some protection. Health care providers should continue to offer the vaccine to all unvaccinated persons 6 months of age and older, the report said. However, the CDC also stated that antiviral medications are more important than usual as an addition to vaccination in treating and preventing the flu. The CDC recommends that antiviral treatment (including Tamiflu, given orally, Relenza, which is delivered by inhalation, and Rapivab, which being IV is a last resort) should be initiated as soon as possible after illness onset (ideally within 48 hours of symptom onset) for any patient with confirmed or suspected influenza who is hospitalized, has severe, complicated or progressive illness, or is at high risk for influenza-associated complications), including children younger than 2 and adults aged 65 and older.